Chambers Law Office, LLC is an Indianapolis criminal defense, DUI, traffic law and family law firm serving clients in Indianapolis and throughout central Indiana, including Johnson, Hancock, Hendricks, Hamilton and Marion Counties. Founded by Julie Chambers, a former Marion County deputy prosecutor, her team is committed to providing personal and affordable legal representation to every client. Based in Indianapolis, Chambers Law Office focuses on criminal defense, DUI/OVWI, traffic law and family law. 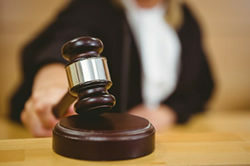 The firm represents clients in many types of cases, including drug charges, dealing in marijuana, possession of cocaine, possession of marijuana, gun crimes, theft, OVWI/DUI, Driving While License Suspended, battery, domestic battery, alcohol offenses, resisting law enforcement, traffic tickets, hardship license/specialized driving privilege petitions, criminal record expungements, divorce, child custody, and child support cases. Whether you have been accused of a criminal offense, cited for a traffic ticket, want to expunge or seal your criminal records, or need to file a petition for divorce or child support modification, the court process can be intimidating. You need an attorney who will fight to protect your rights and also take the time to make sure you understand each step of the process. At Chambers Law Office, we will always be available to address your concerns and answer your questions. If you are facing criminal charges or a traffic ticket, have a driver’s license suspension, have questions about filing a petition to expunge or seal your criminal history, or need to schedule a family law consultation regarding a divorce or child custody/support, call Chambers Law Office today! Being arrested and charged with a crime is serious. Former deputy prosecutors, Indianapolis criminal attorneys Julie Chambers and Katie Kawiecki understand the criminal justice system. Chambers Law Office is here to help. Chambers Law Office handles all license suspension & traffic law matters in central Indiana, including CDL tickets, moving violations, hardship license petitions, driver’s license suspensions, and reinstatement fee waivers. Chambers Law Office helps clients with all matters of family law, including petitioning for divorce, modifying custody order, establishing parenting time, modifying child support, establishing paternity, and protective orders. Learn more about the main requirements for filing a criminal expungement petition in Indiana to either expunge or seal records of an arrest or conviction. 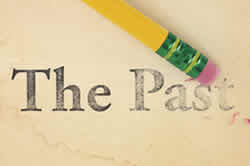 Clear your record and move forward from the past. Drug crimes, property crimes, traffic offenses, battery, fraud, official misconduct, resisting law enforcement, alcohol related offenses, gun crimes & more. Dealing marijuana – cocaine – methamphetamine, possession, visiting or maintaining a common nuisance, drug charges from traffic stops & more. Carrying a handgun without a license, prohibited sales or transfers of a firearm, possession of a firearm by a violent felon, pointing a firearm & more. DUI breath tests, field sobriety tests, license suspensions, pre-trial issues, implied consent & more. CDL traffic tickets, reckless driving charges, habitual traffic violations, failure to stop after an accident, traffic tickets, operating without a license & more. 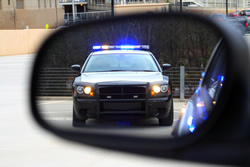 Depending on the circumstances surrounding your arrest, you may be eligible to have the arrest record sealed. A person may have the opportunity to have a Class D Felony or Level 6 Felony reduced to a misdemeanor through AMS. Child support, modifying custody or parenting time, establishing paternity & other family law matters. Julie Chambers is a former Marion County deputy prosecutor, giving her unique experience that she brings to every case. She is dedicated to providing personal, affordable criminal defense, DUI & traffic law representation to every client. If you or loved one needs representation on a criminal or traffic matter, turn to Chambers Law Office to help. Learn more about Julie. 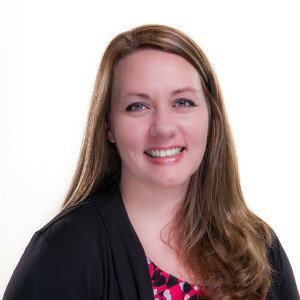 Attorney Julie Chambers has experience handling a wide range of cases, including Possession of Marijuana, Operating While Intoxicated (DUI & OVWI), Theft, Battery, Domestic Battery, Drug Charges, Indiana Expungement Petitions, Alternate Misdemeanor Sentencing petitions, traffic tickets, driver’s license suspensions and hardship license petitions. 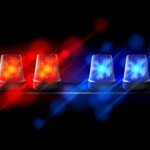 As a criminal defense, DUI & traffic law attorney based in Indianapolis, she serves clients throughout Central Indiana, including Marion, Hamilton, Hancock, and Johnson counties. My New Car is a Lemon…What Do I Do Now? 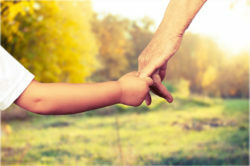 Indiana Family Law Blog: When Can You Modify Child Support? Indiana Lemon Law Blog: Is Your Car a Lemon Yet? 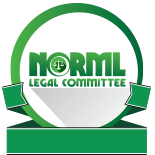 The information on this website is not intended to replace competent legal representation. THIS IS ADVERTISING MATERIAL. The information contained on this website is provided for general information only and may not apply to your specific case. Please consult an attorney about your individual situation. This website does not create an attorney-client relationship. Chambers Law Office, LLC serves all of central Indiana, representing clients in criminal charges, traffic ticket cases and license suspension matters throughout the cities of Indianapolis, Lawrence, Speedway, Beech Grove, Broad Ripple, Fishers, Carmel, Noblesvile, Westfield, Greenwood, Franklin, Southport, Greenfield, McCordsville and Fortville and the counties of Marion, Hancock, Hamilton, Johnson, Hendricks, Boone, Madison and Shelby, along with all other counties and cities throughout central Indiana.